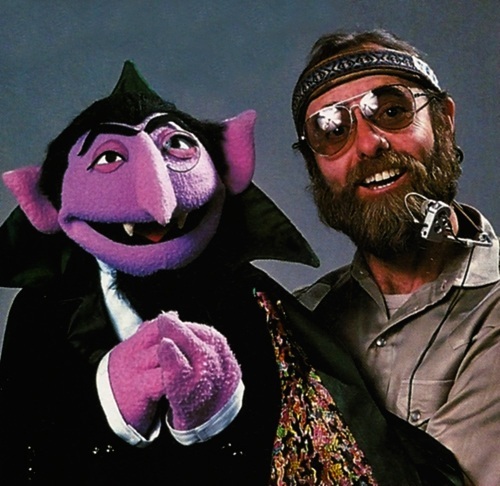 Nelson started his run on Sesame Street, beside Jim Henson and Frank Oz, with several major roles. Sherlock Hemlock (1970 - 1995, 2010), The Amazing Mumford (1971-2012) and Herry Monster (1970-2012), to name a few. His biggest and possibly most loved role, however, was the marvellous vampire we all know and love, Count von Count (1972-2012). Jerry Nelson was also the first puppeteer to perform Mr. Snuffleupagus, holding the role from 1971 to 1978. Nelson had to give the role up; "I was not loathe to give that character up. But the reasons for giving it up were because at that time we were doing The Muppet Show and he was a real part of the show, and they needed his presence. So they asked if I’d mind giving it up.". Nelson's more minor, yet recurring characters include Herbert Birdsfoot (1970-1973), Simon Soundman (1971-1992), Frazzle (1971-2012), Mr. Johnson (1971-2012), Little Jerry of the band 'Little Jerry And The Monotones' (1970-2000) and most of the announcers that appear in the Sesame Street sketches (1970-2012). Jerry also performed a variety of characters on The Muppet Show, including Sgt. Floyd Pepper, Dr. Julius Strangepork (Pigs In Space), Lew Zealand, Robin The Frog (Kermit's cousin), Camilla The Chicken and the Phantom of the Muppet Show, Uncle Deadly. He also played Statler in the pilot episodes, but dropped the role when he could not perform full time on the first season. However, he was selected to play Statler after Richard Hunt's passing. He also originated the role of Fozzie Bear's mother in Series 2 of The Muppet Show and reprised the role repeatedly in features such as A Muppet Family Christmas and The Muppets At Walt Disney World. On Fraggle Rock, Nelson performed Gobo Fraggle, Pa Gorg and Marjory The Trash Heap. Frank Oz did not perform on Fraggle Rock and both Jim Henson and Richard Hunt limited their time on the show, only performing supporting characters, hence Nelson being asked to perform Gobo, the main role. Nelson's characters were usually singers or musicians. He performed the lead vocals for many songs as Floyd of 'The Electric Mayhem', Little Jerry of 'Little Jerry And The Monotones', Slim Wilson of 'Lubbock Lou And His Jughuggers' and a number of Anything Muppet bands. Most of his main characters in all three shows sang songs at one time or another. 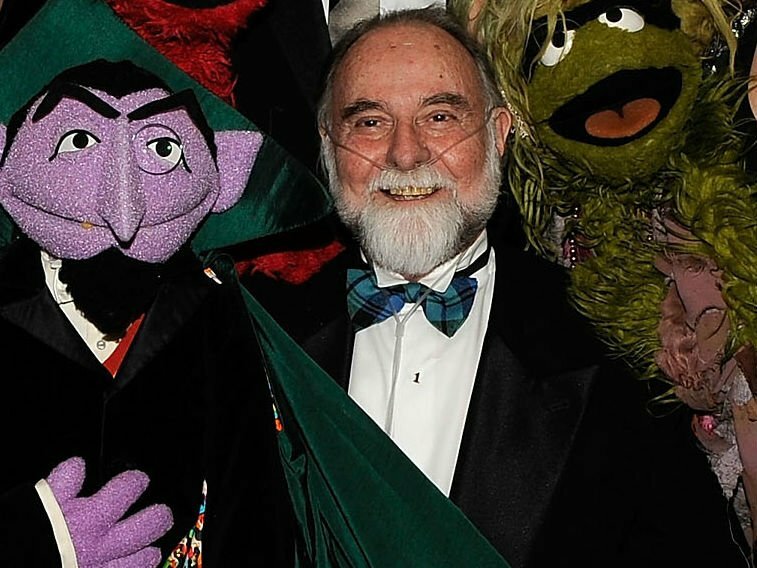 Jerry Nelson reprised his role of the announcer in 2011's The Muppets. His final role as the announcer was part of the Jim Henson's Musical World concert at Carnegie Hall. 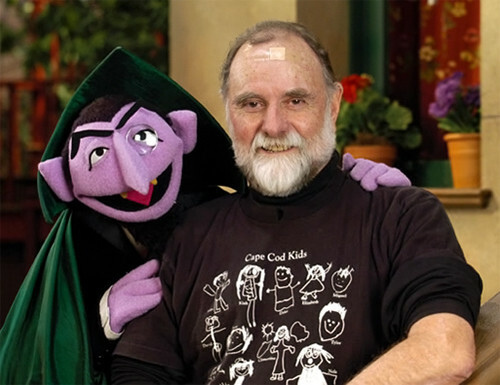 Nelson announced his retirement from puppeteering in 2004, due to health issues, yet continued to voice his characters right up until his unfortunate death. Jerry Nelson passed away on August 23rd 2012, due to complications from the various cancers and respiratory diseases from which he suffered in his later years. He had also been a long-time sufferer of emphysema. 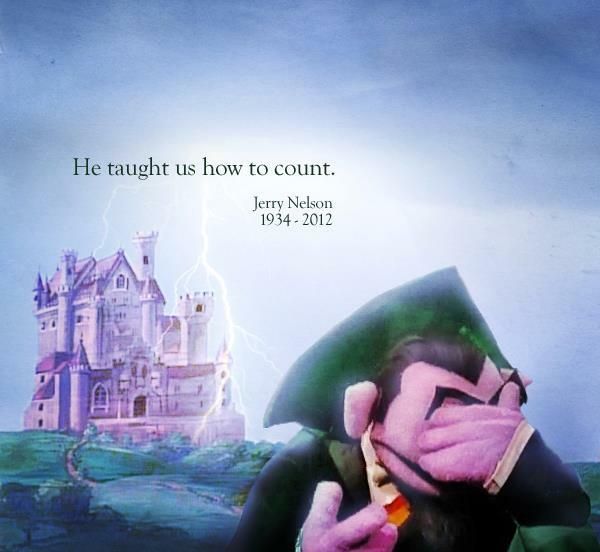 Jerry Nelson, I salute you. Thankyou for bringing my childhood to life and teaching me maths better than anyone else ever could, in a more entertaining and beautiful way than anyone else ever could. You were a wonderful human being who injected a soul into our favourite and most beloved characters.